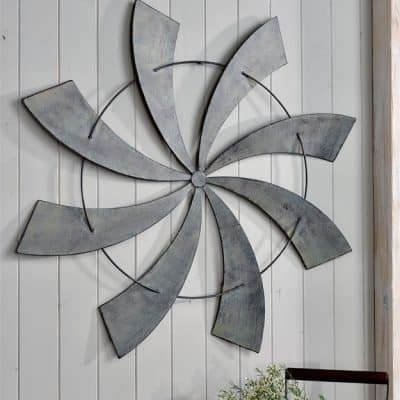 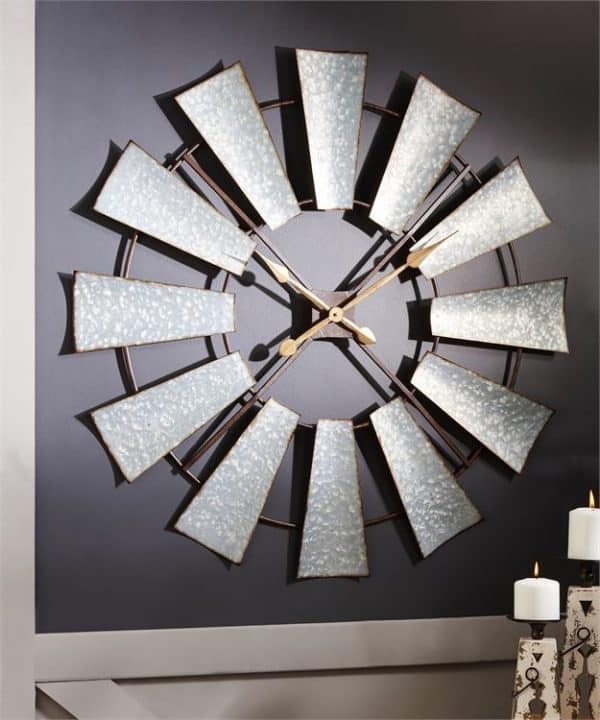 Antiqued Galvanized Metal Windmill Design Wall Clock. 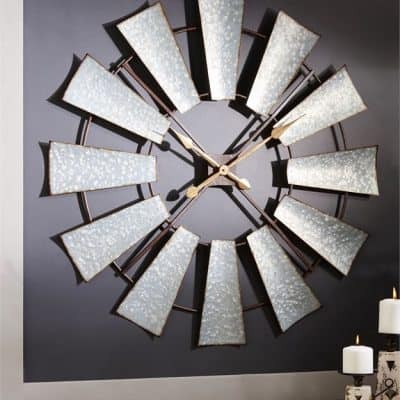 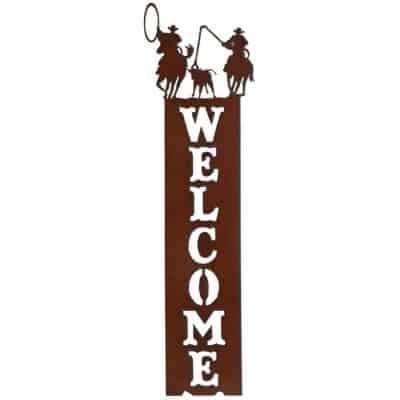 Cut-out design with rustic brown metal clock-hands. 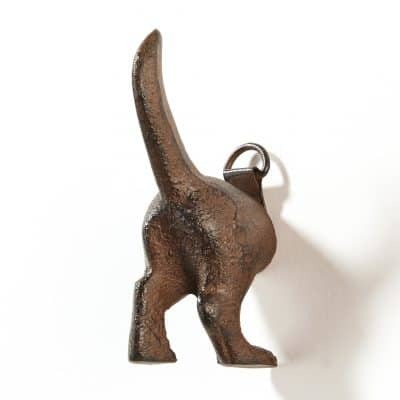 Requires 1-AA Battery, not included.